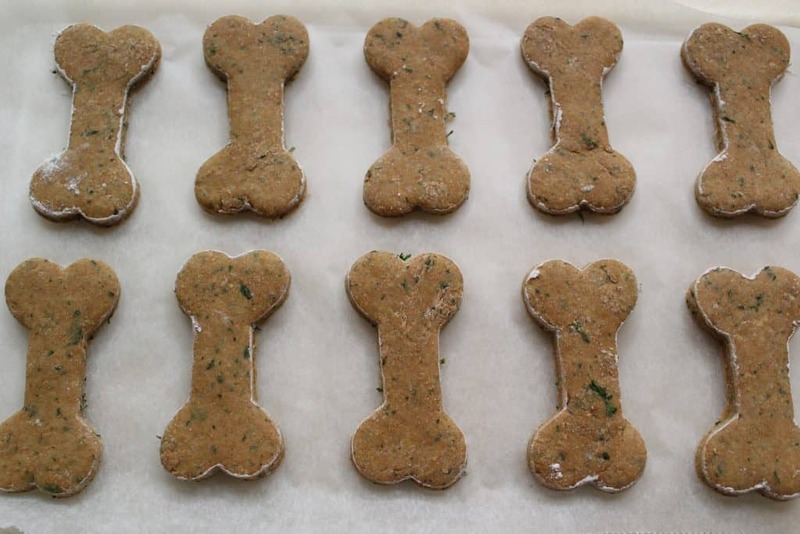 This Chicken and Parsley Homemade Dog Biscuit Recipe is perfect for your dog! 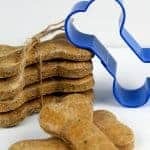 Whether you are teaching your dog a new trick or just love spoiling them, it is fun to make these homemade dog biscuits. 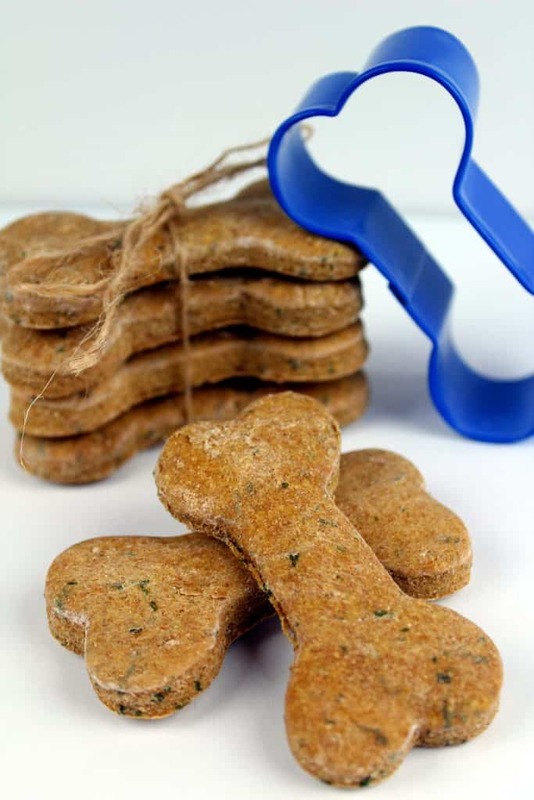 My kids love joining in making these because they are fun to cut out and fun to give to their dogs. 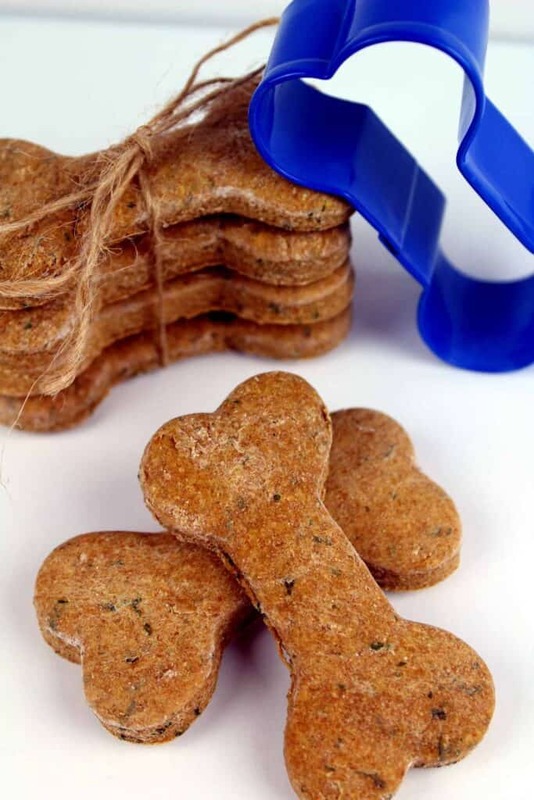 If your dog loves Dog Biscuits with Peanut Butter or Dog Biscuits with Chicken, these easy homemade treats are perfect for you. 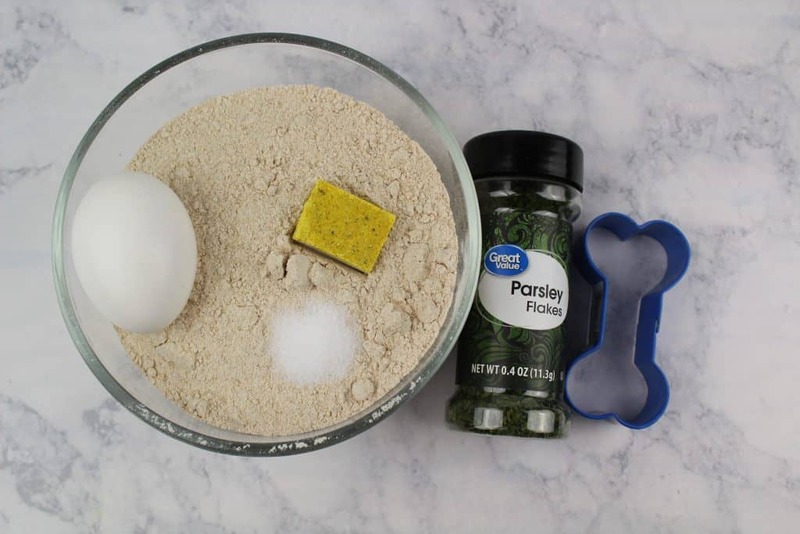 The thing that I love about making biscuits for my dog is that they are made with ingredients from my own house so I know exactly what they are getting. 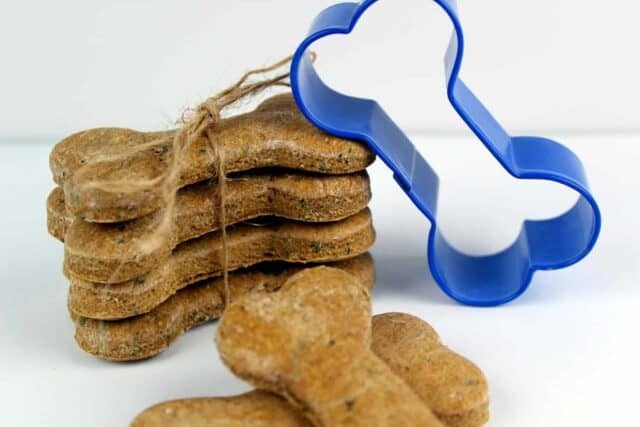 The dog bone shape makes it fun to make but this dog treat is one that I can always been good about giving to my pets. 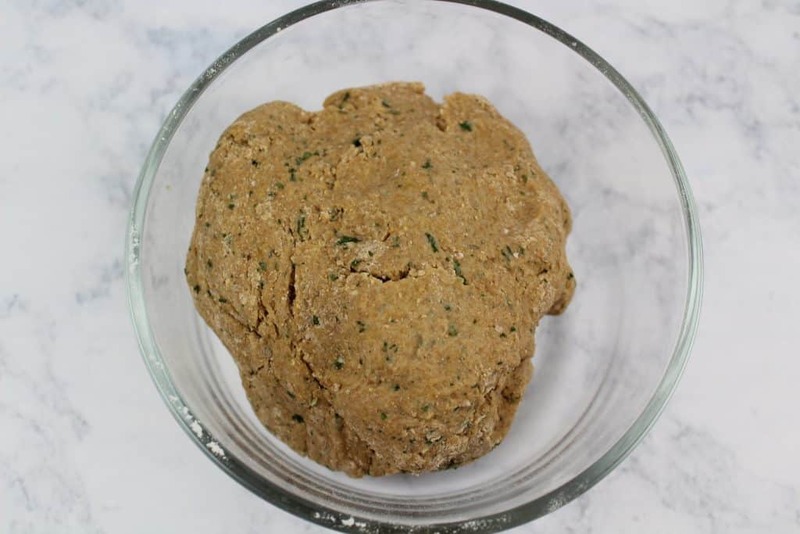 In a large mixing bowl, combine the hot water/bouillon mixture, salt, egg, wheat flour and parsley. Lightly flour your kitchen counter and roll dough out to a ¼ of an inch. 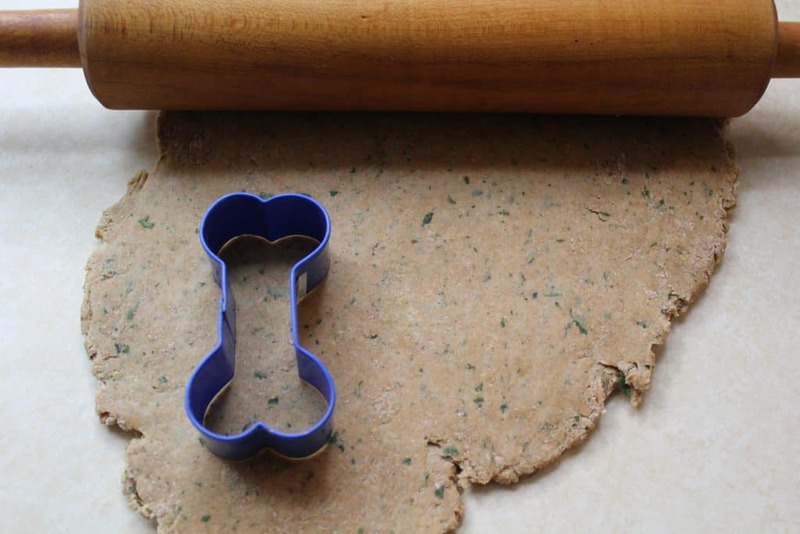 Dip a cookie cutter into flour and cut out the dog biscuits. Bake cookies on a cookie sheet lined with parchment paper at 350 degrees for 30 minutes. Remove from oven and allow dog biscuits to cool.